The Anne Arundel County Fire Department is seeking the public’s help in identifying the person or persons responsible for an arson fire that occurred on May 23, 2013 in the Brooklyn area the County. 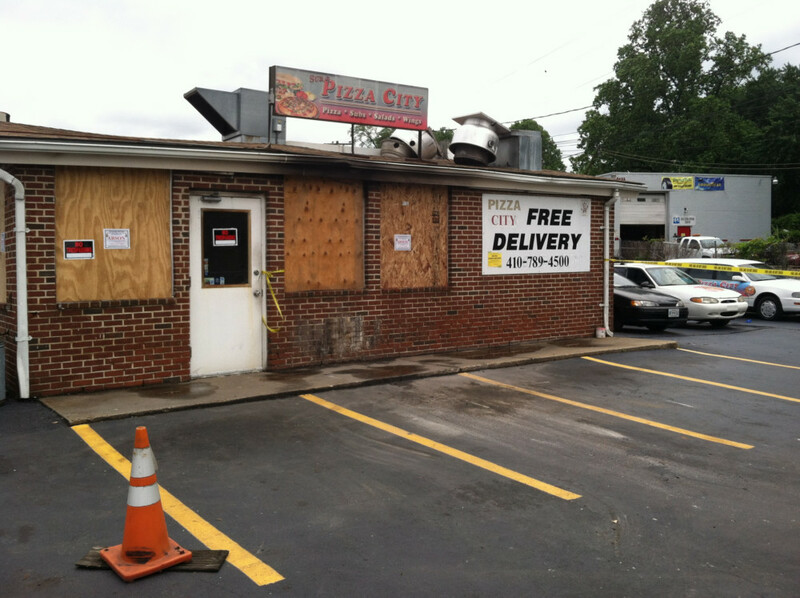 On May 23rd, between the hours of 4:30 a.m. and 5:30 a.m., an unknown person(s) ignited a fire at Pizza City located at 5621 Belle Grove Road in Brooklyn prompting multiple 911 reporting fire coming from the building. Twenty-six firefighters were able to bring the 1 Alarm incident under control in less than 30 minutes. The damage to the building and contents is estimated to be at least $125,000. As a result of the investigation, the fire has been deemed incendiary in nature. On May 24th, 2013 at approximately 03:30 a.m., Fire Investigators arrested and have charged 31 year-old Brian K. Swope with second degree arson, malicious burning and breaking and entering. Investigators have determined that Swope allegedly entered the closed building and stole multiple items from the business. In an attempt to conceal the theft, Swope allegedly lit multiple fires within the building. Investigators continue to look for additional information about this fire including locating an additional person of interest. The Fire Department is asking anyone with any information relating to this event to contact investigators at 410-222-TIPS (8477) or [email protected]. Information received can be anonymous – persons do not need to leave their name or any contact information. Arson is an extremely serious crime, punishable by up to 30 years in prison. Millions of dollars in property loss occur annually from intentionally set fires, and countless lives are placed in jeopardy.